I found a back number from 1995 of the magazine Cricket Lore, with this generous review by the late Mike Seabrook, himself an author of fine cricket novels. I have edited out some publishing details, but no commentary. I am delighted to say that the good novels have been augmented by one, and that it’s a cracker. … It’s a novella rather than a full-length novel, running to 160 pages, but what it lacks in size it more than makes up for in quality, in true understanding and feel for the beloved game, in ingenuity, inventiveness and sheer high-class talent in the ancient art of storytelling – which is still, all these centuries after Homer, the thing that really matters in a novelist. Furthermore, it is extremely well written. It has the great quality that one always looks for in a piece of prose fiction: that of impelling the reader to turn the page ever faster, to see what happens next; and, frankly, if a novel has that it doesn’t really need anything much else. Perhaps the one thing that is still needed is an ending strong enough not to bring a feeling of disappointment or anti-climax. This is perhaps the toughest test of all, and in this too the author succeeds triumphantly. The book is called A Tale Of Ten Wickets. It is by Richard Heller, a journalist who, judging by his blurb, has lived a most interesting life, with as much of the interest taking place on the cricket field as anywhere else. The book is in fact only loosely a novel. It is really a sequence of short stories, with a connecting thread linking them all together. And like so many of the best ideas, it is in essence very simple indeed. A man comes by chance upon a cricket field being prepared for a game and stays to watch. He gets into conversation with the scorer of the visiting team, a wandering side called the Frenetics. Each member of the team has a secret, and as he makes his way to the crease to take his part in the match the scorer tells the visitor the secret. Often the secret at the heart of the man’s private life is mirrored in his cricket, so that it makes its mark on his contribution to the game as it proceeds. These are the tales that make up the tale of ten wickets. It’s as simple as that. But the secret lies in the quality of the tales, and they are very fine indeed, both in the strength of their plots and the fineness of the writing. Some are hilarious, some sad, some genuinely moving. They are all different and this gives the whole a splendid iridescent effect, the rhythm and texture of the prose changing mercurially to match the changing moods of the stories. It really is very well done. But the subtlest artistry of all is the way in which the tales reflect the supreme importance in cricket of the people involved in it. In this above all else the author reveals the true depths of his understanding and love for the game: the interaction of human nature on human nature, the way in which the game penetrates to the deepest heart of the true aficionado, and both bends each man’s deepest characteristics, good or ill, dark and fair, to its own use, and illuminates them as it does so. Don’t get me wrong: this book is not a deep, mysterious work of philosophy: most of the high-flown words in the preceding paragraph are my own extrapolations from reading the book. It’s all there, but the book wears its profundity very, very lightly. 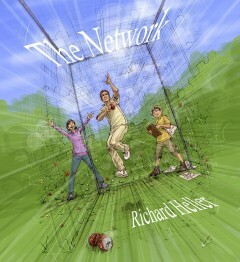 It is immediately enjoyable as a straightforward compendium of short tales, but it readily yields up deeper mysteries – much as a game of cricket itself can be enjoyed by a casual spectator as a simple game of casting a ball at three straight sticks and defending the same with a fourth, while another, of a different cast of mind, can see in the same match all the facets of humanity that I talked of just now. I’m not going to spoil your enjoyment of this splendid read by so much as hinting at the substance of any of the stories. Suffice it to say that they are all entirely believable – every one of them could happen to almost any one of us – and so well constructed that they all achieve an equal impact. That in itself is no mean achievement, for almost any sequence such as this might be expected to be at least somewhat uneven. The final touch of real class is held back, with surpassing deftness, until the last page of the book, in which we discover that the scorer, the narrator of all the other tales, has the best of them all for his own. We only find out about him obliquely, but when we do it’s worth having waited for: though it’s the shortest it is perhaps the most satisfying of all. And that’s all I’m going to say about this priceless little treasure of a book, except this: do send off for a copy, it’s a steal. And be prepared to order more for friends: they’ll bless you for it.